Disclosure: This post is written in partnership with Mean Green. All opinions are my own. 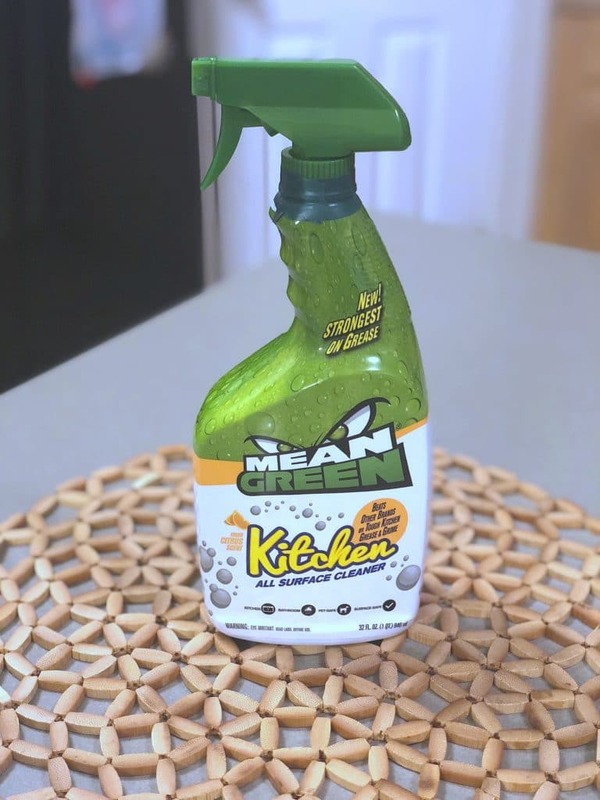 Mean Green is a collection of cleaning products that I have been sharing about for a few months. 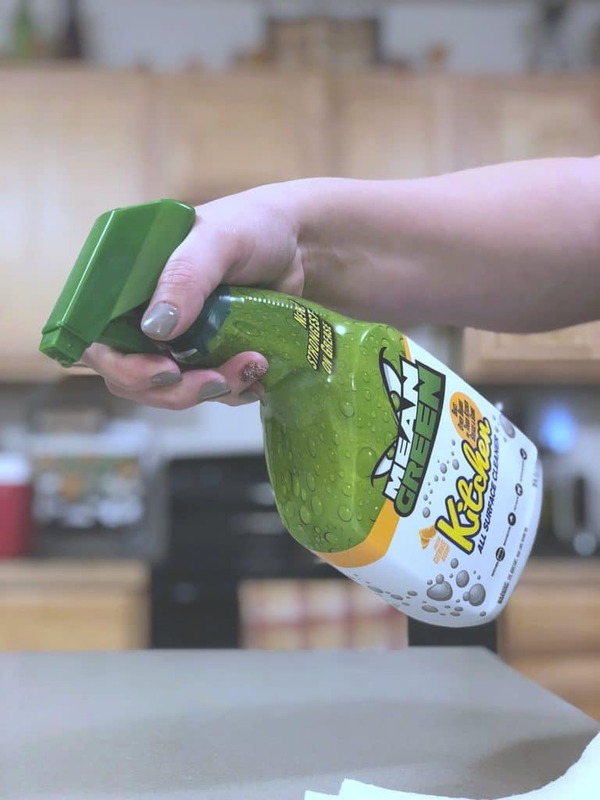 I have tried them on hard to clean areas around our home, however, today I wanted to share some of my everyday cleaning tips with Mean Green. 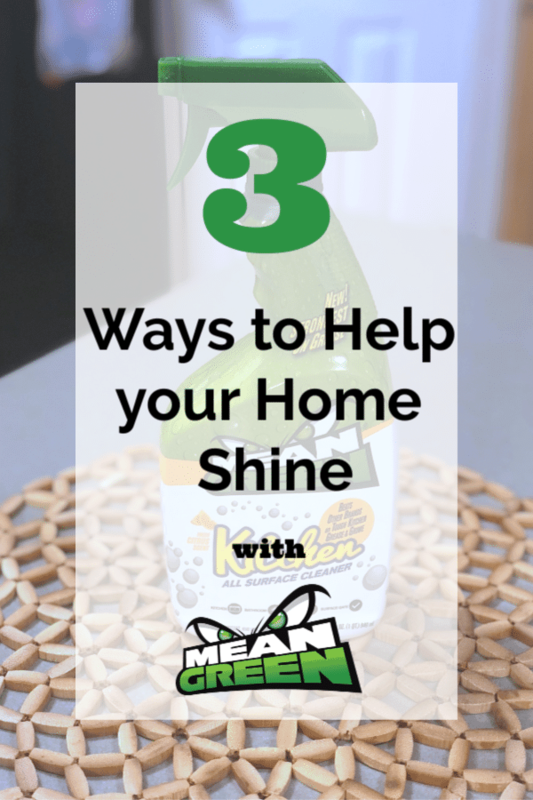 These 3 ways to help your home shine will be a game changer if you implement them! People always ask me how I manage to work two jobs, keep my family fed and happy, spend time with them and have such a clean home. I tell them that the clean home is the easy part because I only spend about 30 minutes each night (after bedtime) putting everything back together. This means that I clean up dinner, load the dishwasher, wipe down the counters and other kitchen surfaces with Mean Green Kitchen, pick up toys and blankets in our living room and yes, I even do a quick bathroom clean up as well. When you keep up on your home daily and you make it part of your routine, it becomes much easier and quicker. Mean Green Kitchen is my everyday go to cleaner. I pick up my home every single day and I wipe down counters as well. It is VERY important to me that my home is clean and that it smells good. 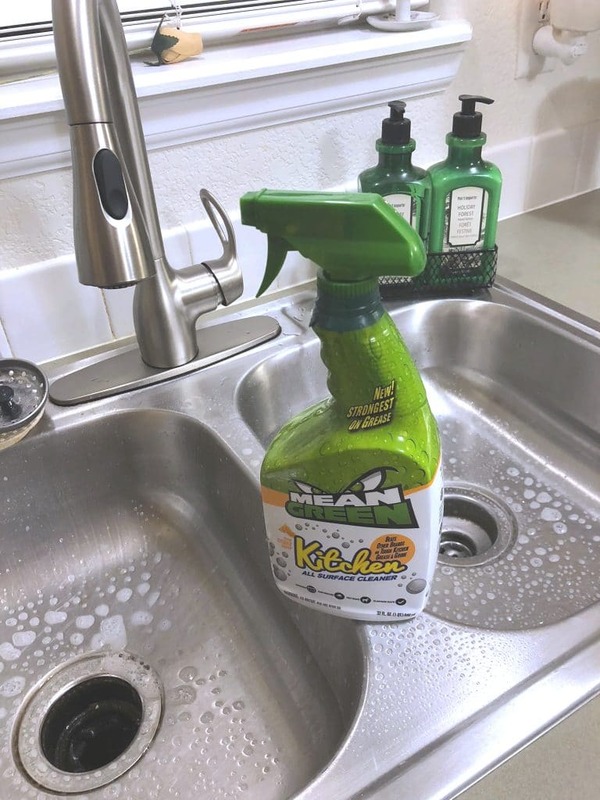 Mean Green kitchen is a citrus scented cleaner that you can use on everyday surfaces to get the grime up and make your kitchen shine. It is one of the items that I keep in my arsenal of cleaning supplies and it helps me with my cleaning routine. I keep a dry erase board on our family command center where I have a shopping list. If I am running low on any of my cleaning supplies or grocery items, we write it on the board and then when I head out to the store, I always make sure to snap a photo of it. I have found that when I stay stocked up on cleaning supplies, I never have an excuse not to run through my cleaning routine. 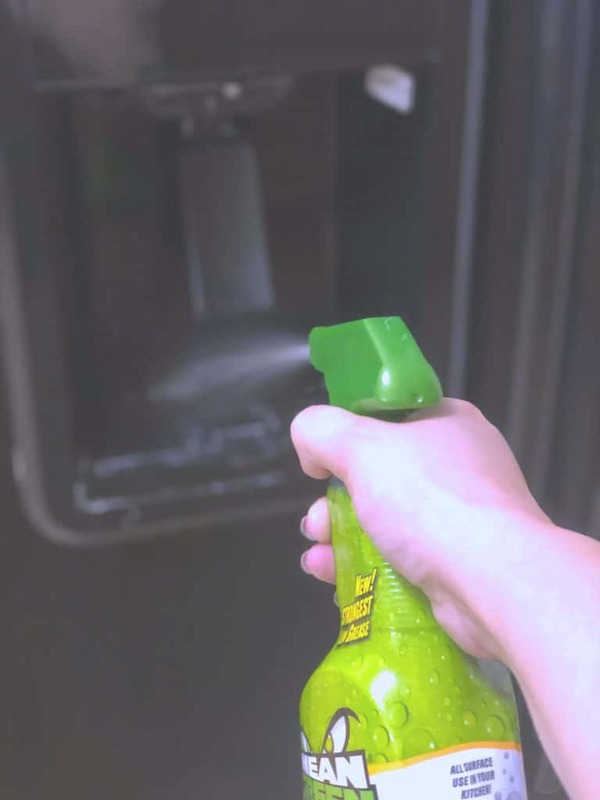 I am on a budget though and cleaning supplies can be expensive, but Mean Green is not. At about $3.00 a bottle for the Mean Green Kitchen I can clean for almost 2 full months without having to replace it. I also make sure that I have cleaning products in each bathroom and on each level of our home. So yes, that means that I have 3 vacuum cleaners, 3 brooms and several bottles of Mean Green in the house. Mean green is also effective and cleans as well as leave surfaces glistening. Look at the faucet above which I wiped down after spraying with mean green and then look at it cutting into the grime of the kitchen sink! Love it! As our kids get older, we are delegating more tasks to them. No my kids are not forced to clean all day like Cinderella. However, they also have routines that they are very good about getting done and they also enjoy helping me wipe down surfaces and be my spray bottle person. We all share this space, so we have a family responsibility to take care of it. About a 1/2 hour before bedtime, we typically start our routine. For the kids that means that they need to get baths in, brush their teeth and get in their PJ’s. It also means that they need to pick up their rooms. While they are doing their routine, I am usually starting on mine. However, nearly everyday, one or both of them will sneak down and want to help me with something. I never turn down help and I have found that it gives us a little non-tech time to just laugh and talk while being a little productive. Routines, preparedness and responsibility are just 3 ways to help your home shine. Having Mean Green as a partner in grime (see what I did there) is just a bonus. If you want to learn more about the Mean Green product family, check them out on their channels below. How do you manage your household chores?